Vishal Bhardwaj : In constant touch with Irrfan. 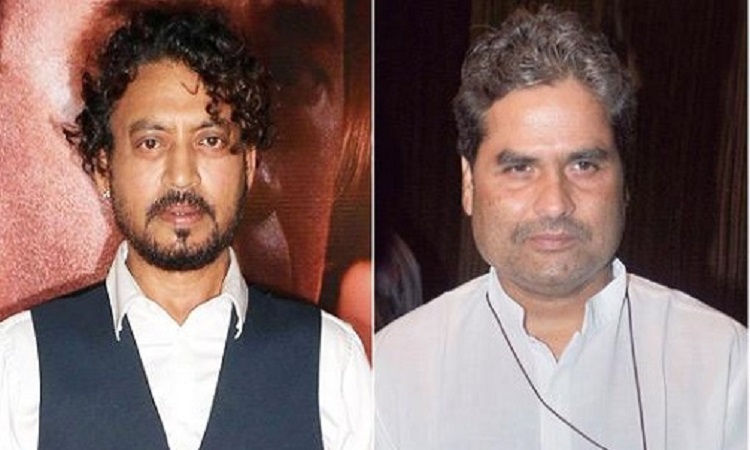 National award-winning filmmaker Vishal Bhardwaj, who has worked with actor Irrfan Khan in several films, says that he keeps talking to the actor who is recovering from cancer and is planning to start shooting film with his once he comes back. Present at the song launch of legendary singer Hariharan's single "Afsaane" here on Monday, Vishal told media: "Irrfan is in touch with me. It is great that he is recovering and I pray for his speedy recovery. I hope he comes back soon and starts working in films again. I keep talking to him, these days he is sending me voice note by recording songs in his own voice. He is watching cricket too." The filmmaker has worked with Irrfan in films like "Maqbool", "7 Khoon Maaf", "Haider", "Talvar" among others. Earlier this year Vishal announced he would collaborate with the actor again. Asked about if he is planning to reschedule his film where he planned to cast Irrfan and Deepika Padukone together but got postponed due to the actor's ill-health, he said that "as soon as Irrfan recovers and come back, we will start our shooting for the film."